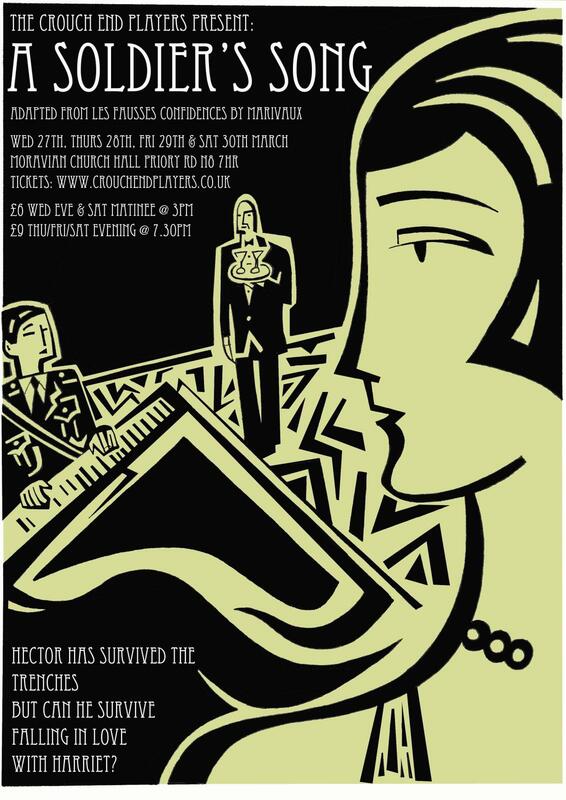 A Soldier's Song is a romantic comedy set in 1919 London. Captain Woolley has survived the Western Front but will he survive falling in love with music hall star, Harriet Smithson? Come along for an evening of comedy and star-cross'd lovers to find out. Would You Rather? Tickets Now On Sale! Crouch End Players proudly announce our next production! A piece of new writing by Jen Richardson. 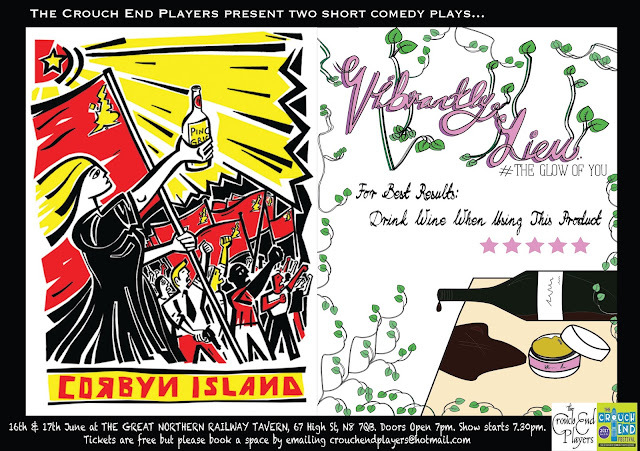 Thursday 14th - Saturday 16th February 7.30m at the Great Northern Railway Tavern, N8 7QB. 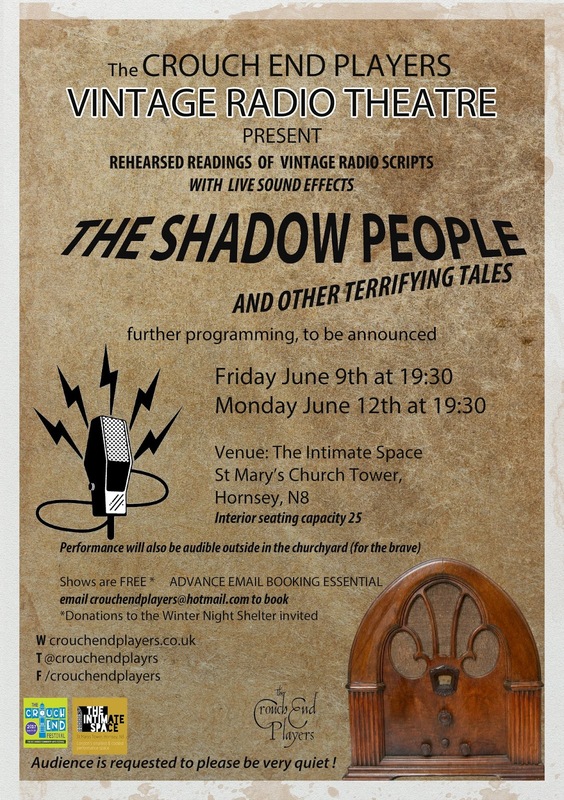 ALL THREE PERFORMANCES ARE NOW SOLD OUT -please email us to be put on a reserve list. 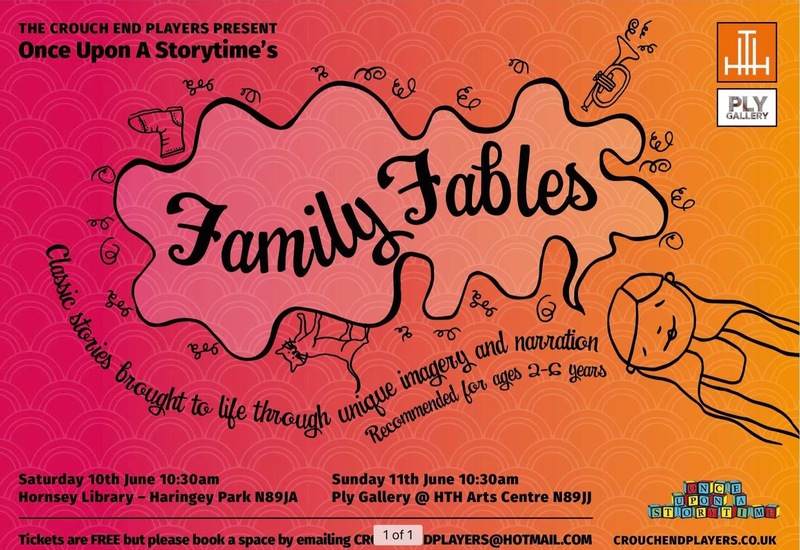 The Crouch End Players were formed in September 2008, when a group of friends came together to put on a panto. Over the next year we are planning a series of events to celebrate all that has gone on over the past decade. 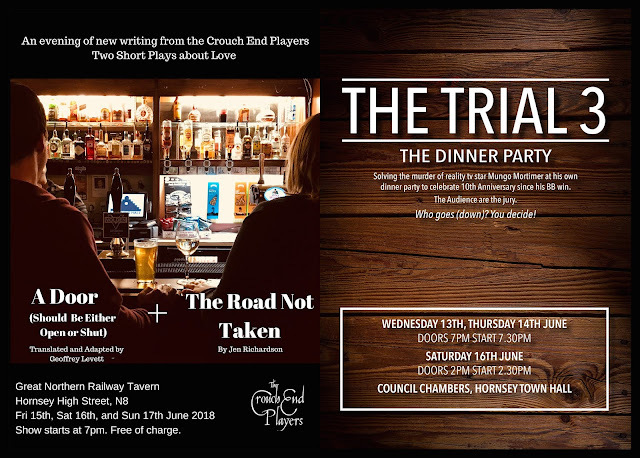 From new writing and improv to award winning plays and panto, lots of ideas have been put forward and we hope you will join us for something (or even everything!). 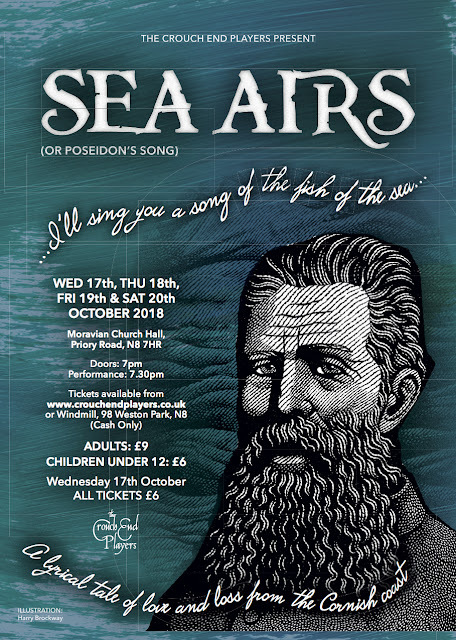 Thank you to everyone who came to see Sea Airs (or Poseidon's Song) over the past week. 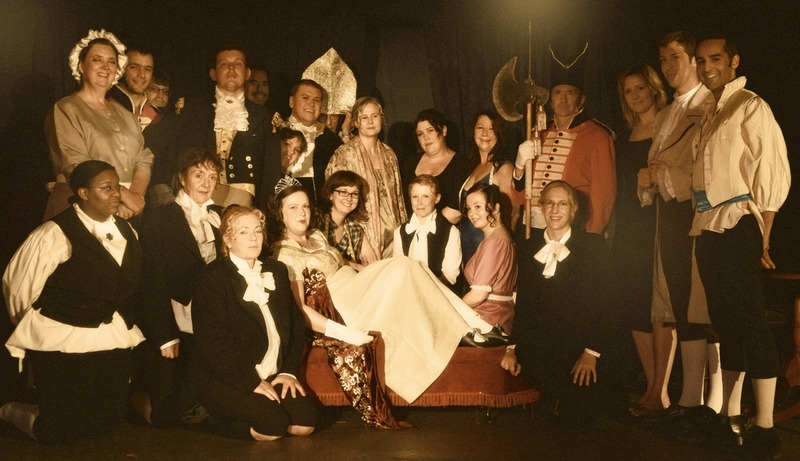 We had a great time and were so delighted to have such great audiences. For those of you who missed it, here is a little snippet from one of the highlights of the show. We look forward to seeing you all at the next one. Sea Airs: Friday SOLD OUT. Get your tickets for Saturday before it's too late! TICKETS FOR FRIDAY NIGHT'S PERFORMANCE OF SEA AIRS ARE ALL SOLD OUT. Don't miss out, get your tickets now for the hottest show of the Autumn. 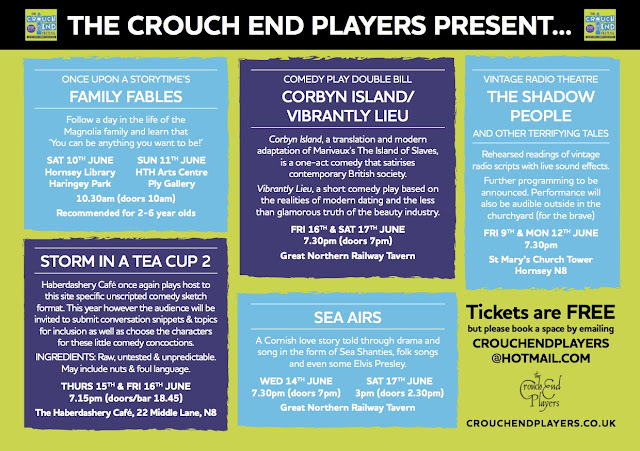 Come join the Crouch End Players for this beautiful Cornish tale told with rousing shanties and heat-warming folk songs. All tickets for Wednesday 17th October £6 only. The Crouch End Players' first show of the new season is an original and heart-warming production, full of familiar songs of love, life and the sea. 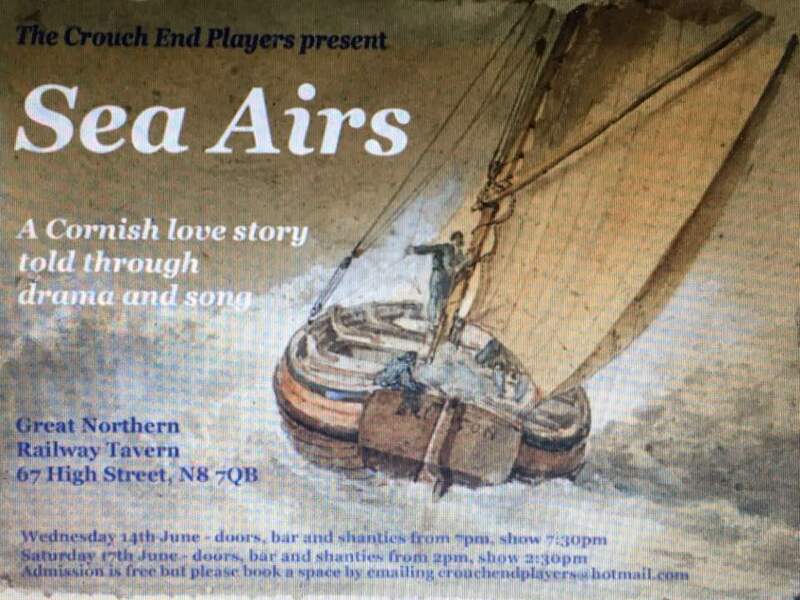 Told with humour and energy, Sea Airs is the story of three couples dealing with love and loss in a Cornish fishing community. Played out in 1950's Cornwall and 1980's London, the story is told through drama and song, interwoven with Greek myth and Cornish legend. 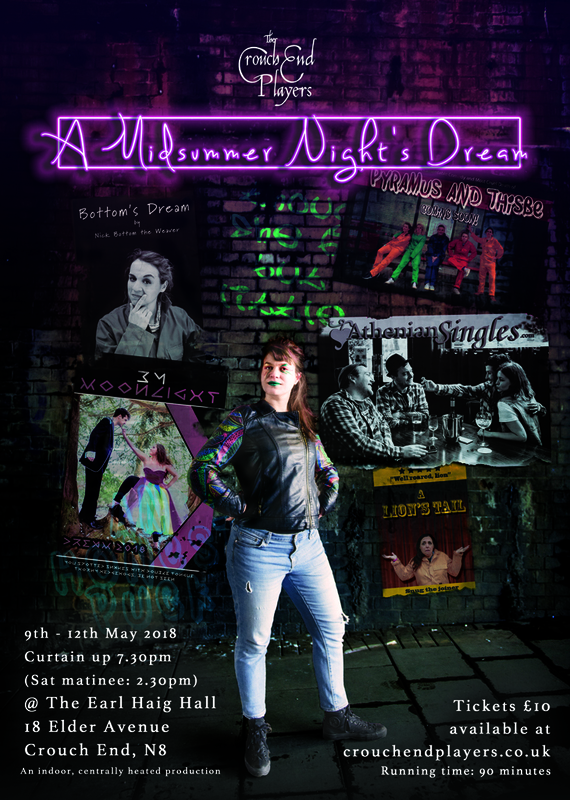 With folk songs and sea shanties, as well as some ‘80’s classics, for you to sing along to, this will be a must see for the Autumn. Thank you - and what's next! Thank you to everyone who made our recent production of Midsummer Night's Dream a sell-out success! 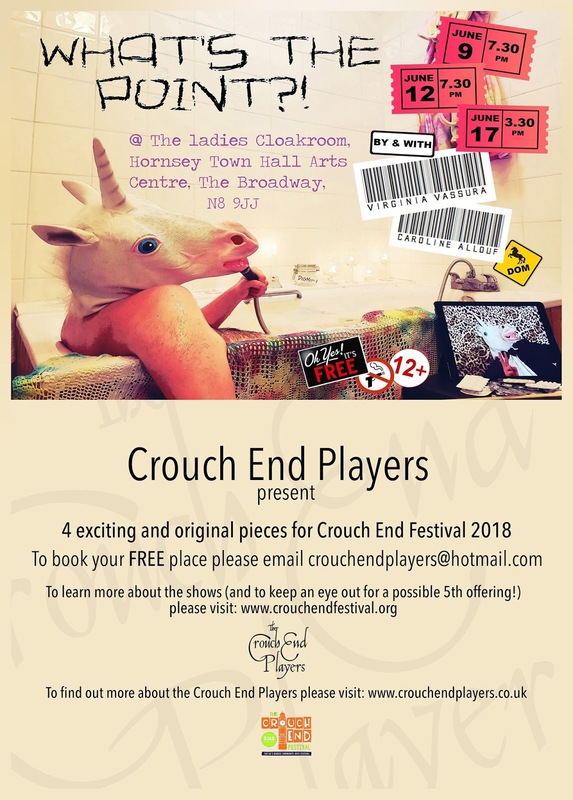 We are already busy planning our Autumn production, but, in the meantime some of our members are producing new and original events for the annual Crouch End Festival. Click here for scheduling details of the Crouch End Players' productions in this year's festival. The Crouch End Players presents a joyful contemporary production of Shakespeare’s best loved romantic comedy. Mayhem ensues as lovelorn hipsters and modern mechanicals find themselves the pawns in a game between the feuding Fairy King and Queen. 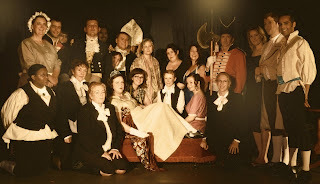 Silly, slapstick and even a bit raunchy, this pacy production finds laughter in every line of a well-loved classic. 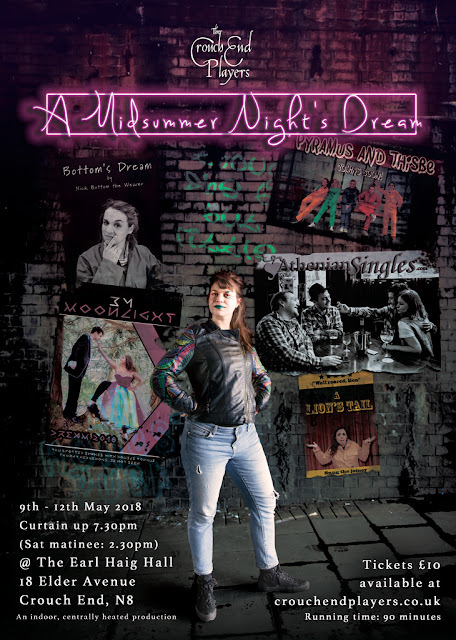 In the welcoming atmosphere of the Earl Haig Hall, Shakespeare’s Athenian forest will be transformed into an urban jungle peopled by a rich mixture of gods and mortals. Tickets on sale for our next production! FRIDAY EVENING IS SOLD OUT! The members of the "Farndale Avenue Housing Estate Townswomen's Guild Dramatic Society"
Many thanks to all those who attended our outdoor production of Toad of Toad Hall in Priory Park. We were delighted by the feedback you gave us in person and on social media. Thank you! 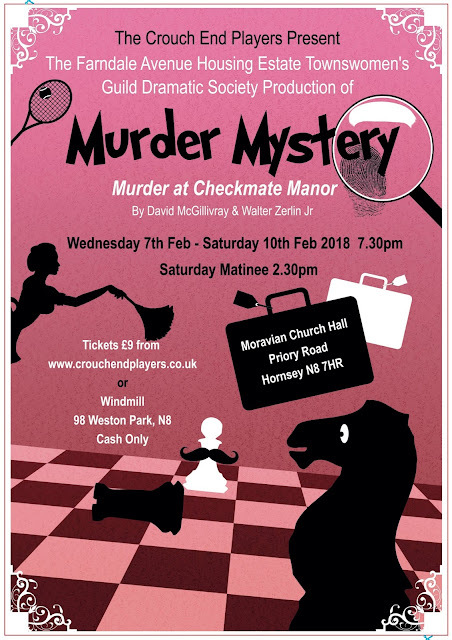 We have a variety of productions in the pipeline for 2018, the first of which will be a hilarious comedy, opening on February 7th 2018! - so watch this space, and follow our social media accounts for regular updates, rehearsal pics, videos and updates! 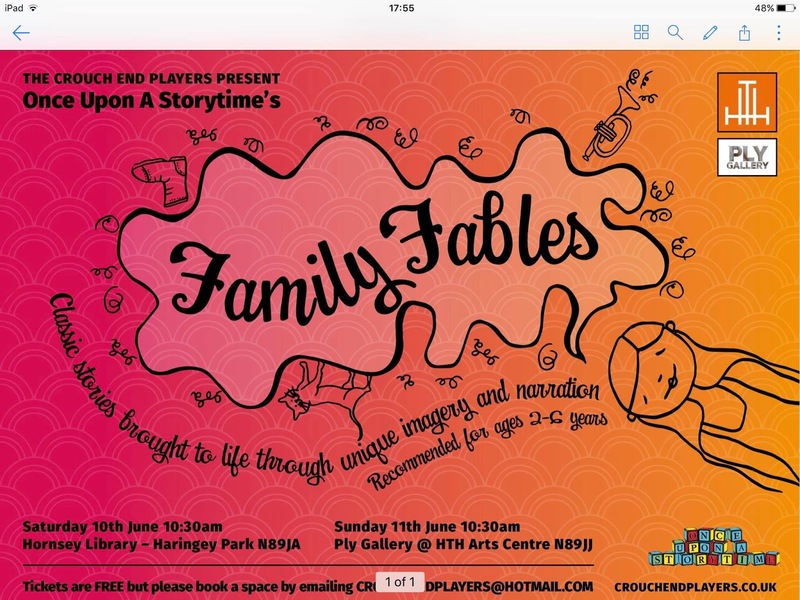 Summer show in the Park! 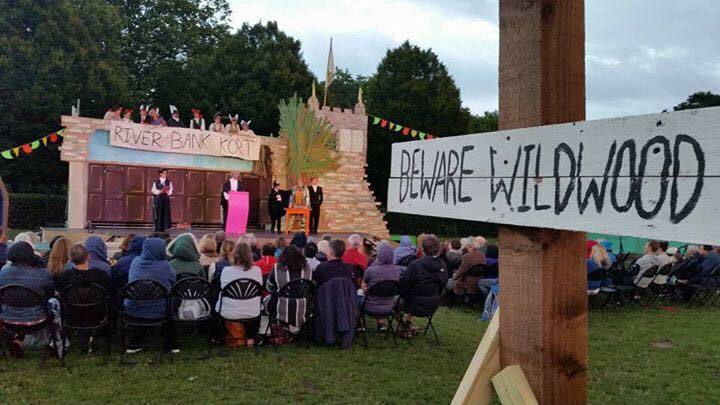 The Crouch End Players are delighted to return to the enchanting setting of the Outdoor Theatre in Priory Park to tell this evergreen tale of life on the riverbank. 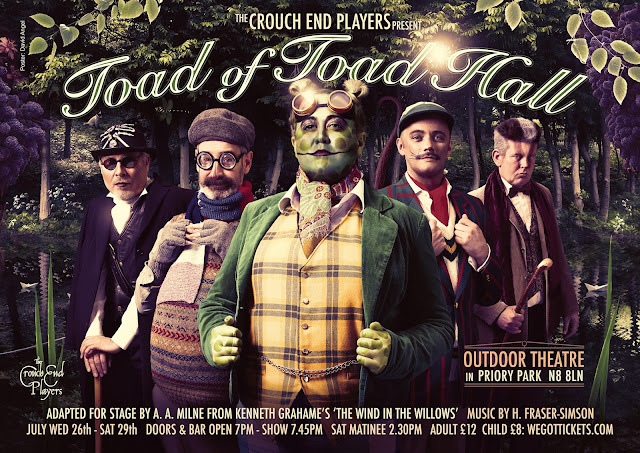 Toad of Toad Hall is A.A.Milne’s fun‐filled stage adaptation of Kenneth Grahame's evergreen story "The Wind in the Willows", brought magically to life! A charming tale of adventure, friendship, courage and hope. "The rural tranquility of friends, Mole, Ratty and Badger is shattered by the eccentric behaviour of Toad! When his antics get the better of him it falls to his trusty friends, kind Rat, wise Badger and gentle Mole to rally round in Mr Toad's hour of need, and win back Toad Hall." A ride you won't want to ever forget! So what are you waiting for? Climb aboard! The Outdoor Theatre is fully seated and staged. Saturday matinee is a shorter performance. External distractions from park users is beyond our control. The Show will go on unless it is deemed unsafe to do so because of very extreme weather. We are delighted to be producing five shows for this year's festival. Some original writing from members of our group, facilitated by our "development team" launched last year. 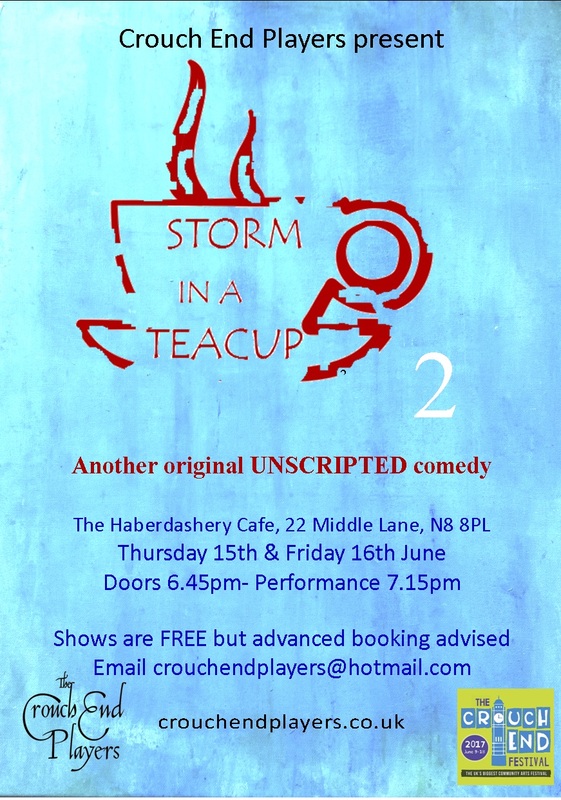 All our shows are free of charge, but prior booking by email is essential. Some venues have very limited capacity. Please email crouchendplayers@hotmail.comto reserve a free ticket, and follow us on social media for updates.